While I have not seen the X-Men: Day of Future Past move yet, at least one plot point sounds very familiar to a plot point involved in a different "X-Men/Time Travel" story. Minor DOFP spoilers after the cut. X-MEN #41 (Vol 2) was LegionQuest, the prologue to Age of Apocalypse. In DOFP, as a result of time travel, the world become aware of the "mutant menace" decades earlier than they "should" have. Something similar happens in "LegionQuest," the prologue to "Age of Apocalypse." 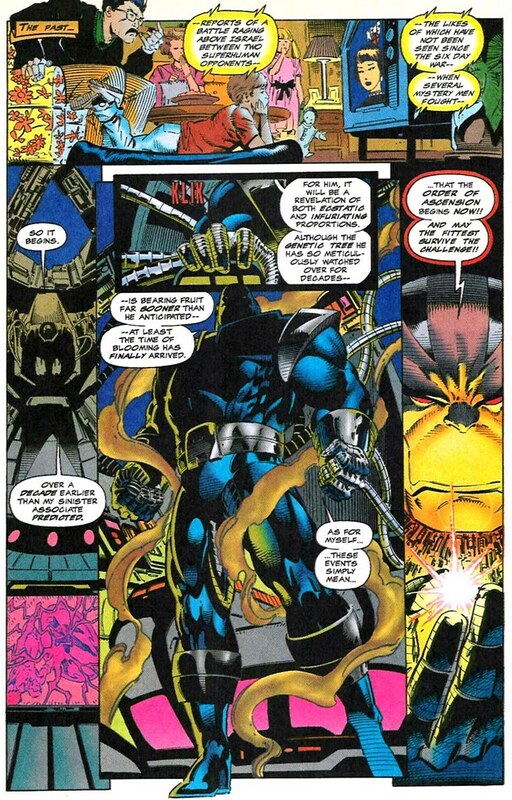 All right, the Legion/Magneto fight causes Apocalypse to act earlier than he did in the main timeline. This is even fixed in X-MEN OMEGA, where there is no massive televised fight so almost everything is as it was. This massive battle is more of a catalyst than "just" Legion accidentally killing Charles Xavier.